17 Women Murdered: Laverne Cox Calls Transphobic Violence "A State Of Emergency"
“It really is a state of emergency. Your life should not be in danger simply for being who you are,” Laverne Cox told Good Morning America on Wednesday. Cox was referring to the growing number of violent crimes facing the trans community. There have been 17 murders of trans women (that we know of) in the United States this year so far, 15 of which were trans women of color. And stopping these crimes doesn’t seem to be at the forefront of anyone’s attention. 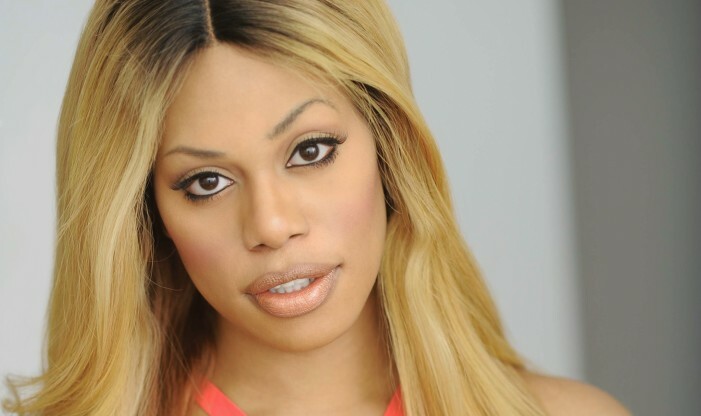 Cox, the groundbreaking trans actress and activist from the binge watch worthy Orange is The New Black series, said she believes the reason why the number of murders are increasing amongst trans women is because of the lack of employment, housing and healthcare in the trans community. Cox stated “we need to make sure that trans lives matter” since the climbing death toll tells us otherwise. Tamara Dominguez – Kansas City, MO, 36 – Intentionally run over by a vehicle. Papi Edwards – Louisville, KY, 20 – Shot to death in a motel. Lamia Beard – Norfolk, VA, 30 – Shot to death. Ty Underwood – Tyler, TX, 24 – Shot to death during or after her car crashed into a pole. Yazmin Vash Payne – Los Angeles, CA, 33 – Stabbed to death, boyfriend arrested for suspicion of murder. Taja Gabrielle de Jesus – San Francisco, CA, 36 – Stabbed to death in a stairwell. Penny Proud – New Orleans, LA, 21 – Shot at a cross section on the street. Kristina Gomez Reinwald – Miami, FL, 46 – Found unresponsive in her home. London Chanel – Philadelphia, PA, 21 – Stabbed to death by roommate’s boyfriend. India Clarke – Tampa, FL, 25 – Beaten to death in a park. K.C. Haggard – Fresno, CA, 66 – Stabbed to death in the street with multiple witnesses. Amber Monroe – Detroit, MI, 20 – Shot to death. Ms. Shade Schuler – Dallas, TX, 20 – Shot to death. Ashton O’Hara – Detroit, MI, 25 – Shot to death. Kandis Capri – Phoenix, AZ, 35 – Shot to death.